Choices range from the classic (Rep's Christmas Carol, Doc at the MSO) to the quirky (In Tandem's Cudahy carolers, Brady Street Festivus). The Catey Ott (Thompson) Dance Collective will perform at 8 p.m. Friday and Saturday, Nov. 30-Dec. 1, at Danceworks, 1661 N. Water St. Ott Thompson, a Milwaukee native, lived and worked in New York for 14 years. In the last few, she’s been back to Milwaukee many times, this time apparently to stay. SWAK, the title of the program, stands for sealed with a kiss, as in kissing NYC goodbye. Two New York dancers from the original cast, Sarah Pope and Kathleen Stansell, will dance in Milwaukee for this event. Hannah Marquardt, the newest Catey Ott Dance Collective member, will “bridge” Catey Ott Thompson back from New York To Milwaukee. Caryn Ott Hillman, Catey’s operatic sister, is in from Chicago to sing in this show. C. Kai Marquardt, a Milwaukee-based sculptor, created the set. Xander Ott Thompson, age 1, a hit last summer at Danceworks’ Art to Art, is back by popular demand. Tickets are $15 at Danceworks, 414 277-8480. “You’ll shoot your eye out!” has become synonymous with “Merry Christmas!” thanks to Ralphie’s Christmas wish for a Red Ryder BB gun in A Christmas Story. Sunset Playhouse in Elm Grove presents a stage adaptation of the beloved film, Thurs. Nov. 29 through Sun. Dec. 23. Tickets are $25 online, with $12.50 value nights Nov. 29 and Dec. 12, or call 262-782-4430. Now that Black Friday has passed, its time for more heartwarming holiday traditions. Enter Charles Dickens’ A Christmas Carol from The Rep. Bring the whole family for this timeless tradition, staged at the Pabst Theater Thurs. Nov. 29 through Mon. Dec. 24. Tickets range from $15 to $45 online or at 414-224-9490. Youngblood Theatre will use the vast, creative space of The Milwaukee Fortress for their newest production, Cartoon. The play follows the chaotic disruption of peace in ToonTown, and is intended for mature audiences. Running Fri. Nov. 30 through Dec. 15, tickets are $15 online or call 414-369-2375. 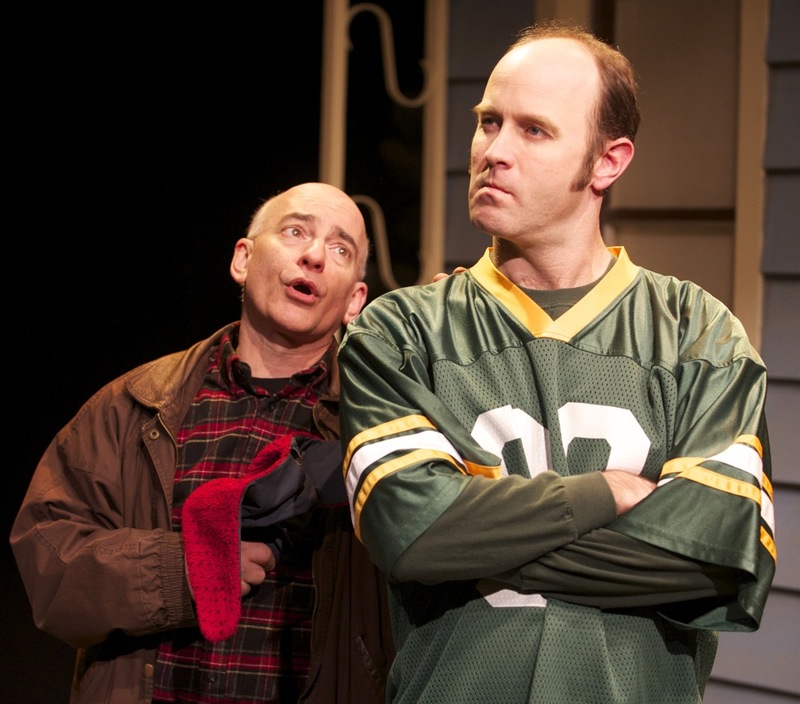 In Tandem Theatre pokes fun at Midwestern tradition and charm with A Cudahy Caroler Christmas, a “hilarious homage to bowling, beer, friendship and forgiveness.” The musical runs Wed. Nov. 28 through Jan. 5. Ticket prices vary, and shows are already selling out; see the full schedule and purchase tickets online or call 414-271-1371. UWM’s PSOA presents Uncommon Women and Others, highlighting a group of women as they reminisce about their college days in the early 1970s. Second-wave feminism serves as the backdrop of their self-discovery. The play runs Fri. Nov. 30 through Dec. 9. Tickets are $8 online or call 414-229-4308. There’s plenty of holiday happenings here in Milwaukee, but consider escaping to the deep woods of Wisconsin for American Players Theatre’s The Gift of the Magi. Located in Spring Green, APT offers a getaway experience for their annual holiday show, following Jim and Della as they seek the perfect gifts for each other. The show runs Tues. Nov. 27 through Sat. Dec. 22. View the full schedule and purchase tickets online or call 608-588-2361. The Florentine Opera’s resident artists — soprano Alisa Suzanne Jordheim, mezzo Kristen DiNinno, tenor Kevin Newell and baritone Carl Frank — will present scenes from operas by Britten, Handel, Moore, and Mozart in a Scene Showcase program at 7 p.m. Thursday. William Florescu, the company’s general director, is the stage director. Yasuko Oura will accompany. They will stage the scenes in the company’s beautiful Riverwest Production Center, 926 E. Burleigh (at Weil Street, one block west off Humboldt.) Tickets are $15 and can be purchased by calling (414) 291-5700 Ext 224. The MSO ushers in the holidays with Doc the Halls: A Merry Doc Holiday! led by Doc Severinsen. Featuring the talents of the Milwaukee Symphony Chorus, the Milwaukee Handbell Ensemble and soloist Vanessa Thomas, the show will combine carols, sing-alongs, and Big Band classics. Performances are 8 p.m. Fri. Nov. 30, 2:30 p.m. and 8 p.m. Sat. Dec. 1 and 2:30 p.m. Sun. Dec. 2. Tickets range from $25 to $105 online or call 414-291-7605. Martina McBride’s The Joy of Christmas Tour visits the Milwaukee Theatre. Drop in Saturday Dec. 1 at 8 p.m. for a night of powerful vocals from one of country music’s favorite stars. Tickets are $45, $55, $65 and $85 available online or call 800-745-3000. Prometheus Trio continues their season at the Wisconsin Conservatory, welcoming guest artist violist Matthew Michelic, associate professor of music at Lawrence University Conservatory of Music. The concerts are at 7:30 p.m. Mon. Dec. 3 and Tues. Dec. 4 at Helen Bader Recital Hall. Tickets are $22 online or call 414-276-5760. Tory Folliard Gallery presents John Wilde Remembered, a selection of prints and paintings created from 1946 through 2003. Late Wisconsin artist John Wilde was a leader of the Magical Realism movement, creating bizarre images with a touch of Midwestern quirkiness. Perhaps you’ve seen this piece at the Milwaukee Art Museum. The exhibition runs Fri. Nov. 30 through Dec. 31, with an opening reception Sat. Dec. 1 from 1 p.m. to 4 p.m. Call the gallery at 414-273-7311 for more information. If you missed out on Art vs. Craft Thanksgiving weekend, Hover Craft awaits as another opportunity to shop locally for the holidays. Taking place Sat. Dec. 1 from noon to 6 p.m. at Sweet Water Organics in Bay View, Hover Craft welcomes local arts-and-crafters, including TCD’s own Carly Rubach. Check out Carly’s Local Holiday Shopping Guides for similar opportunities. Sometimes it’s nice to feel fancy when you’re in for a night of boozing. With this in mind, Great Lakes Distillery is hosting a Mad Men Party at their Walker’s Point location. Come in costume at 8 p.m. Sat. Dec. 1 and sip on Mad Men-themed cocktails, made from Great Lakes Distillery’s award-winning spirits. Tired of the holidays already? Why not celebrate Festivus (for the rest of us)? Brady Street will celebrate the un-holiday all day with shopping, dining and drink deals. The real party begins at 9:30 p.m., where you’re welcome to air your grievances and participate in feats of strength. The Florentine Opera Studio Artists and Alterra invite you to slow down this weekend and sip a hot drink while you enjoy traditional carols. Visit Alterra @ the Lake 11 a.m. Sat. Dec. 1 or their Riverwest location at 1:30 p.m. the same day for a special, relaxing afternoon. Milwaukee’s Historic Third Ward welcomes the holidays with Christmas in the Ward, featuring a tree lighting ceremony on Fri. Nov. 30 and extending festivities throughout the weekend. Visit Santa, see Santa’s reindeer (and Santa himself! ), get some shopping done, and enjoy a performance from the Trinity Irish Dancers. See a full schedule of activities here. Festival City Symphony welcomes special guests Vocal Arts Academy of Milwaukee Children’s Choir for their Holiday Pajama Jamboree. Bring the kids for this family-friendly holiday sing-along concert. The concert is free, held at 7 p.m. Wed. Nov. 28 at the Bradley Pavilion of the Marcus Center for the Performing Arts.